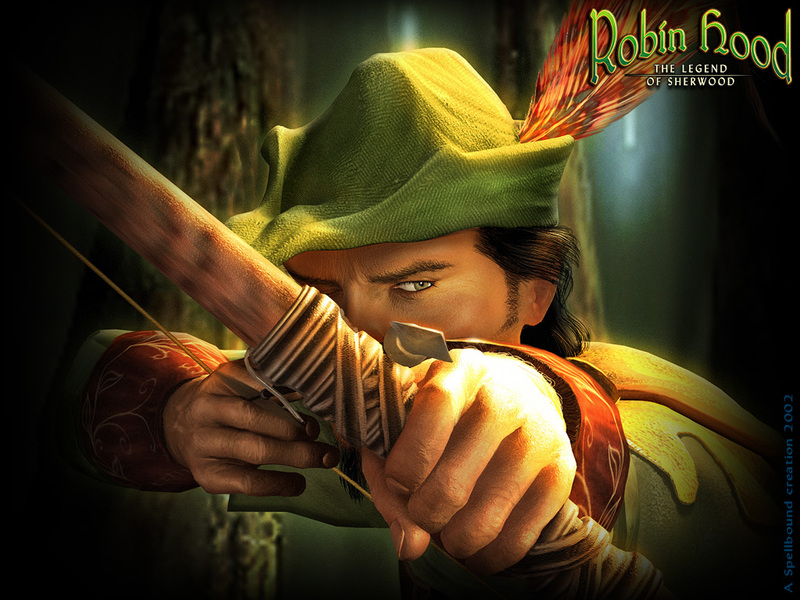 Robin Hood was a Saxon noble, living near the castle of Nottingham. By various means he was forced into a life of banditry, using his cunning and skill-at-arms to relieve bishops, nobles, and servants of the king of gold and jewels levied from the oppressed peasants. Robin collected a band of supporters, his "Merry Men" around him, dressed in green. The members that never cease to appear are Robin himself, Maid Marian, Little John, and Friar Tuck. 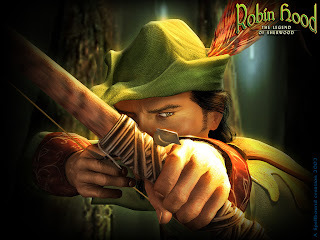 Along with being a middle-ages Communist, Robin spends his time fighting the cruel Sheriff of Nottingham, and, ultimately, King John, who had usurped the throne from the rightful King, Richard I (Coeur de Lion or Lionheart). I am doing a presentation on Distance Learning at a conference this summer. I would like to use this image, with your permission, on a PowerPoint slide for my presentation. I will earn no profit from the use of the picture. The picture will be used only once during the presentation. May I have your permission to use the image? I run a non-profit children's theatre and we are currently producing The Adventures of Robin Hood. We would like to use your Robin Hood image for our cast t-shirts if possible. The shirts are for keepsakes and are not sold for profit. If you could please let me know via email as soon as possible I would appreciate it. My contact email is brad@camelottheatre.com. Thank you.